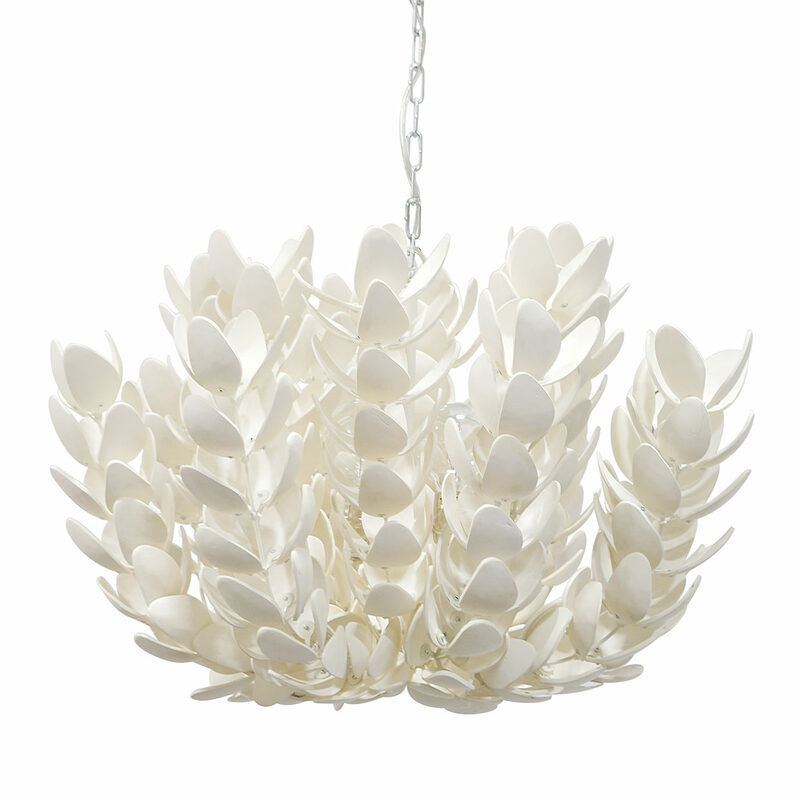 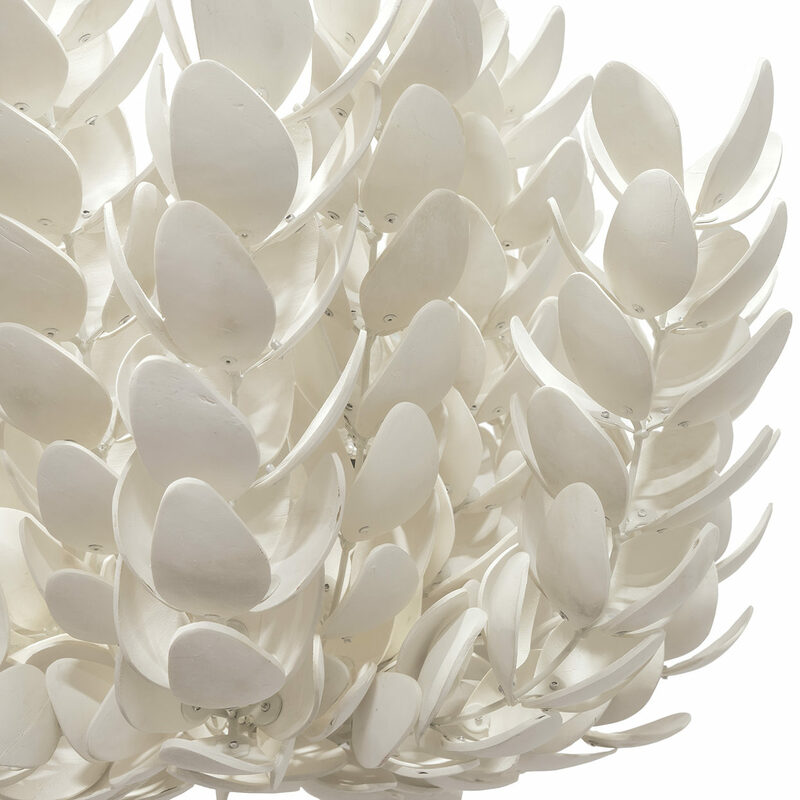 Hand-cut coco shell in petal forms in an off-white finish. 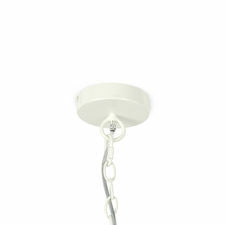 Pendant comes with an off-white finished chain and canopy hanging kit. Professional installation recommended.